ECUADOR - Every year during the latter half of the month of June several major festivals are held in the Otavalo region of the country. I planned a trip to coincide with these events to work on my long-term project about ritual, and one afternoon I was traveling in a remote region of the district in search of festivities when I came across this scene. 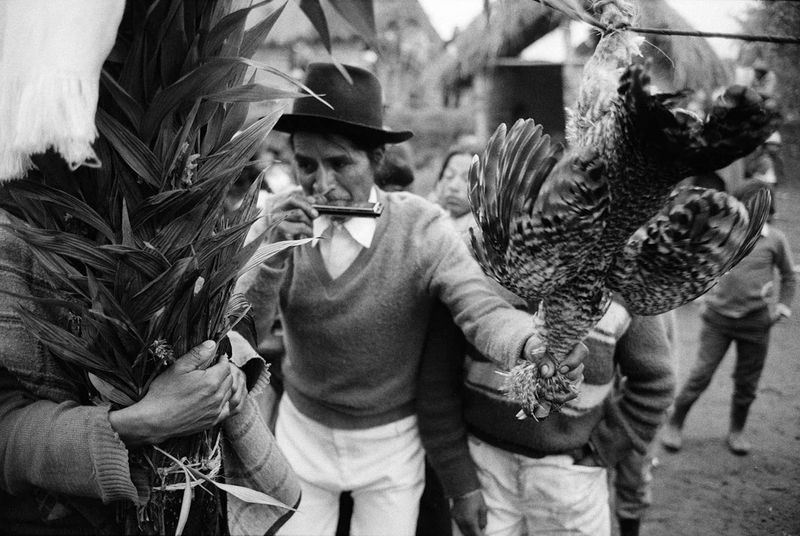 The entire small village was in the midst of a raucous ceremony that included music, dance and copious amounts of local brew in preparation for the ritual sacrifice of this hanging fowl.